USGA Elections will take place from April 6th through April 8th. Read the platforms of those running below before making your decisions! Since my enrollment at the University of New Haven, becoming a part of clubs and organizations and the general campus life was always a major goal of mine. I have always enjoyed assisting others and was actively involved in my high school; I felt college life should be no different. After being involved with clubs, organizations, and the Undergraduate Student Government Association (USGA) for the past three years, I have learnt that commitment and dedication is the key needed to make any club/organization successful. I employ that dedication and commitment currently as USGA Vice President, and if elected USGA President for the 2009-2010 Executive year, I see that same dedication and commitment only increasing. As USGA President, my main goal will be to facilitate any concern of any undergraduate student here at the University. 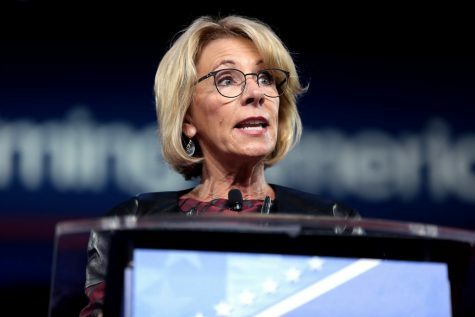 Students should feel confident in knowing that they have a President who is determined, honest, extroverted, and passionate about serving the student body. It is my sincere belief that I embody those characteristics and will work non-stop for the students of this great institution. One of the tools I plan to utilize to ensure that all concerns are heard is the current ChargerVoice website. This is a very useful tool and if further publicized to the students, it can be essential in getting any problematic matter rectified quickly on any student’s behalf. Secondly, as USGA President, I feel it is important to further make use of the many committees we currently have. It is imperative that we get our committees ‘outside the room’ and get students involved in what each committee has to offer. This is a project that is slowly beginning this semester, and I plan on facilitating further expansion. Our committees do a lot of vital work for this organization and the student body, which sometimes goes unnoticed. By expanding the use of our USGA committees, students will be aware of what each committee has to offer and how they enhance and create a better college experience for us all. Thirdly, I feel it is time to expand the use of the Senate. As it currently operates, the Senate is not at its full potential, but possesses the promise to become a main outreach to the students for the USGA. I plan on working closely with Senators to make sure that they are visible to the student body, as they each represent the student body at large. This can be done through the hosting of programs and events, general Senate meetings, and other small initiatives to get the senators working for and along with the students. Finally, a very important objective of mine as President is for both myself along with my Executive Board to be visible to the student body. It is very important for all students to know that their USGA is here to serve each of them no matter how large or small the concern may be. Through the use of programs such as Summer Orientation Advising and Registration (SOAR), we can ensure that no student, freshman to senior, has any doubt about the purpose of the Undergraduate Student Government Association. Also, facilitating club/organization President meetings and casual visits to club/organization meetings will allow for a closer relationship between the Undergraduate Student Government Association, clubs, organizations, and students. In conclusion, while I have only listed a few ideas and possible implementations, I feel that I am a well qualified candidate for this position. I am a hardworking student who is well-known around campus for going the extra mile not only in my extracurricular activity but even in my on-campus employment. My trademark and general mode of operation is to give the best service possible to all persons at all times. If given the opportunity to serve the students in this great capacity, I will do my utmost best to ensure that all concerns are handled and that the USGA runs as efficiently as possible. Mario Andretti said it best; “Desire is the key to motivation, but it’s determination and commitment to an unrelenting pursuit of your goal – a commitment to excellence – that will enable you to attain the success you seek.” I am determined and committed to excellence, I am determined to fight for each and every student concern; I am your next USGA President. Hello University of New Haven! My name is Heather Brown and I am running for the position of Treasurer within the Undergraduate Student Government Association. To make things easier on the clubs and organizations that make use of USGA funds, I would like to revamp the paperwork to make it more user friendly. I believe that the current treasurer, Melody Johnson, has done some great things with the Treasurer’s Manual and I would also like to continue to edit it and make sure it is up to date and concise. Furthermore, if elected to be your USGA Treasurer I would like to work toward a more open line of communication between the clubs/organizations and the Business Office here on campus. If I can make everything easier on you, the student, I will be happy. If elected as your USGA Treasurer I will work with all that I am to ensure that every student is happy and well taken care of. My name is Christopher Dempsey and I’m a junior here at the University of New Haven. My major is Fire Science, Arson with a minor in Criminal Justice. I started my USGA (Undergraduate Student Government Association) career as a Club Representative for The Delta Chi Fraternity. Shortly after becoming a Representative I became a USGA Senator. As a Senator I have held many positions on committees such as Chairperson of the Technology committee, and a voting member of the Budget committee. As the Chairperson of the Technology committee some of the changes I have made are increasing the size of email storage space and resolving Chargervoice.com concerns in a timely manner. In addition to my involvement with USGA I am also on the Code of Conduct Board as well as Vice President of the Delta Chi Fraternity. As a club Vice President and a Budget committee member I know many clubs and students don’t know what to expect when they apply for a Miscellaneous Request. Questions such as, “Did I follow the guidelines?” “What are the guidelines?” and “What questions should I be prepared to answer?” always seem to come up and make the funding process unnecessarily complicated. As Treasurer I will sit down with the Budget committee to address these and many other commonly asked questions that arise when applying for funding. I believe there should be a written explanation of what the Budget committee is looking for in a request, and that it should be made available as a template for students and groups to follow. In addition I believe it is important for there to be a published list of what questions the representatives seeking funding should be prepared to answer. By clearly stating the expectations of the Budget committee some of the confusion surrounding the funding process can be eliminated and more groups can get the money they need. Another area I would like to address as Treasurer is the issue of consistency among funding approvals. When the Budget committee makes decisions regarding funding requests it is important that their decision be used as precedent for similar future requests. By establishing these guidelines for decision making the Budget committee can provide groups with a more fair and consistent funding process. Lastly, if elected at USGA Treasurer, I understand that it will be important to the success of the student-run funding process for me to work closely with student activities, the business office, and the University community as a whole. It is my goal to ensure that clubs and organizations receive their money in a fair and timely manner. I am always open to new ideas and would welcome any questions, comments, or suggestions that you may have. Hello! My name is Victoria Amico, and I am applying for USGA Senator. As a senator, I wish to contribute to a change in the way of communication between the student body and the USGA. I believe in that every good school has a strong student government in which the student body can rely on and trust to make good decisions. I believe I have what it takes to represent the student body. I am an outgoing, productive, dedicated person, who enjoys interacting and helping fellow students. I understand the responsibility that accompanies the important leadership position of Senator, because of my roles as a leader on campus already. I am currently the President of the Black Student Union, Vice President of the Caribbean Student Association and I am also a senator. My leadership roles have allowed me to constantly interact with the student body and understand their needs and concerns. It has also helped me to serve as a liaison to bring the concerns to the Undergraduate Student Government Association. My objective as a senator is to bridge the gap between and the students and the Undergraduate Student Government Association and I would like to continue that objective. If Elected I will use my position to allow your voice to be heard and dedicate my time and effort to fulfilling this task. Come out and vote this spring! eral different presidents, I have never seen so many students involved and interested in the organization with the current leadership. I personally have gotten significantly more involved in the USGA for this reason. I am currently the primary representative for the American Criminal Justice Association. 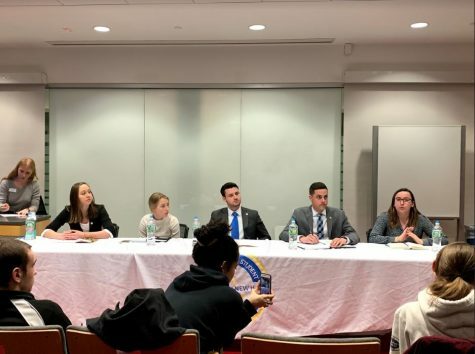 The senator position is a very valuable one to the USGA, this is because they are the students that are out with the general body, hearing concerns first hand, addressing concerns first hand, and working with the entire UNH community to develop a stronger and better functioning student body. I am also involved on campus as a Resident Assistant, Fire Science Club, A-Team, amongst many other committees. I feel these leadership positions will lead me to be a strong USGA Senator. I have dedicated much of my time at UNH to learning how to successfully hear the students concerns and then do something about it. Senators are also people that new students can go to for some direction. With my involvement on campus and time spent at the university, I feel anyone is welcome to come to me with any questions and concerns. I will then take there concern and fully address it to the proper source. I would like to improve the senator position by working with other senators to define a better description for the position, including getting senators involved in more club events and UNH events, this would allow for students to voice there concerns at many other opportunities than just office hours. Working with the USGA this past year has allowed me to get a full perspective on the true impact that the students to have at UNH. I look forward to working with the students and USGA in the future to ensure UNH is a fun, safe, and enjoyable experience for all students. I Robert Hanson encourage you to elect me for USGA Senator for the upcoming academic year. There is always a time when people decide to make a better surrounding for themselves and people around them. I believe that time has come for me. That is why I have decided to run for Undergraduate Student Government Association Senator for the 2009-2010 Executive year. I have been a student at the University of New Haven for two years and am taking this time to now become a student leader. I have heard many of the cries and pleas of my fellow students and have decided to be there unifying voice. From my two years of working with various clubs and organizations I have achieved many success on that level but now would like to reach the students who may choose not be a part of the same clubs and organizations as me. It is with this belief in mind that I will make myself accessible to all those who have a concern or want an issue addressed. 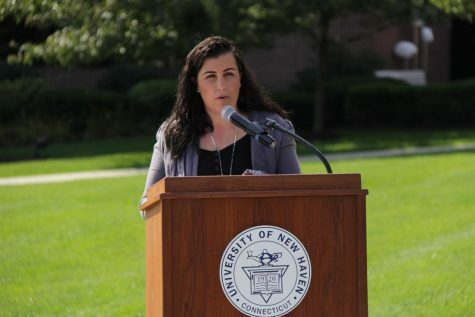 I believe the Undergraduate Student Government Association is in place to be the voice, body and representation of the University of New Haven students, and for since I can remember clubs and organizations have been the prime advocate of USGA. I feel it is time for Senators to step up and be more accessible to the Student Body and vote on things that will benefit them. If elected USGA Senator I hope to be at the forefront of this much needed change. In order to be at the forefront of this needed change I understand that USGA committees is the key and I am eager to head a few of the committees that affect students the most such as, food committee, and residential committee. I will also look to introduce these committees and others to the students and get students who may not be directly involved in clubs and organizations in USGA to get a better understanding of the Undergraduate Student Government Association which will eventually lead to more involvement on their part. I feel that I have much to bring to the USGA senator position. I always strive for the best, and never give less than a hundred percent in anything I do. I always do everything with a positive attitude, and try to make a fun atmosphere while still being professional. Life is just much more enjoyable when you and the people you surround yourself with are having fun. I thrive in friendly environments and will continuously do my part to be faithful and energetic to every task so that we can all benefit from our collective hard work. In regards to my experiences, I have now been a member of the Department of Campus Recreation for nearly a year and a half and while working there I have been given numerous responsibilities including that of a Supervisor. In this position I am responsible for overseeing my peers in their work while advising other participants of our policies and correct procedures. Although it is tough at times in this intense recreation atmosphere to make light of the situation I respectfully encourage others to do their best by always striving to do the same. Being the president of the colony of Sigma Chi has developed my leadership beyond to what I could have ever imagined. I started as a freshman, and at that point we were just an interest group. Through the months I worked hard to gain others respect, and took over the community service officer position. I really took control of that position, and came up with fun, diverse, and community oriented events. As a freshman I was starting to gain respect from all my elder peers. At the beginning of the fall semester we had reelections, where I was nominated and voted in as president. This was such an honor for me, being a sophomore and voted in by juniors and seniors. Starting a fraternity is extremely hard, but I have leaded these fine young gentlemen through good and bad times never giving up on them. With my leadership and their loyalty we are ready to be installed international, and have the date set for May 10, 2009. I am confident that these traits set me above the rest, and I am well equipped to handle any challenges that would cross my path as a USGA senator. A USGA Senator serves as a representative of the student body, who brings to light the issues students face and collectively endeavor to resolve them. In short, a Senator serves as the voice of the general student body in the USGA. As the President of the National Society of Black Engineers, I understand the importance of serving the general body and the significance of the general body-executive board relationship. In order to achieve a working, lasting relationship between the USGA and UNH’s students, Senators must not only be able to communicate and relay their message, but Senators must also want to be that voice. I don’t only believe I can be their voice, but I want to be their voice. During my tenure at the University of New Haven, I have been increasingly involved with clubs and organizations. Over the past year, I have had the prestigious role of serving as a Senator in the Undergraduate Student Government Association. I believe as a student leader, we owe it to the student body that we represent to have an ever-persistent pursuit for excellence on their behalf. If fortunate enough to be elected as a Senator, I feel that there is a great deal that I can offer to the Undergraduate Student Government Association. 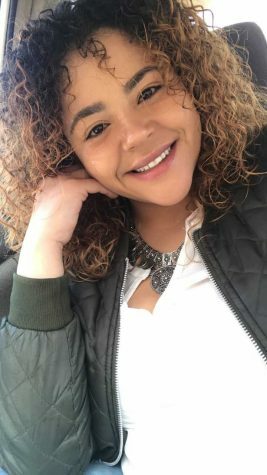 Firstly, I am an avid believer that, at the University of New Haven, “it’s all about the students,” and with that belief, I would strive to be a good representative of the Student Body. Secondly as a Senator, I would make certain that the Undergraduate Student Government Association remembers that it is accountable to the Student Body. I feel that I possess the qualities necessary to fulfill the requirements of this position. I am dedicated, motivated, and hardworking. I am hopeful that I will once again be given this opportunity to further serve the Student Body as an Undergraduate Student Government Association Senator. As a senator I want to ensure that the student body is properly represented. I feel that I am a very suitable representation because I am involved in many different aspects of student life at the University of New Haven. It is important to be involved because I understand many different aspects of UNH and student concerns. As a Senator I have been involved in several different committees such as the Points Committee and Residential Relations Committee. I have also served as the Community Service Committee Chair. I plan to continue to be a part of many different types of committees to better help serve the student body. Every student has problems or concerns that they would like to have addressed. And although everyone has a voice, often times that voice is not heard. I would like to be a representation of that voice by being a USGA senator. I feel as though I would be a great representation of the student body, and I would love to use a position as USGA senator to make sure that every student is heard. Each student has a right to have their problems and concerns heard, and I would like to make sure that happens. I think I would be a good fit for the position of USGA senator, and embody all that it stands for. My name is Brian Ricci and I am a sophomore here at the University of New Haven and am majoring in Fire Science. I am a member of the Fire Science Club and I am currently the club representative for USGA. If elected as a USGA Senator I plan on working for the students. My goal as a USGA Senator is to make sure that the decisions that are made are in the best interest of the students. As a Senator I will advocate and try to represent the student body as well as I can. I will take advantage of office hours, time spent is the social areas around campus, and any other engagement opportunities I have with the student population and talk to them about the current issues. With this I will be informing them of what is going on as well as voting for how they feel. Next year I really hope to spear-head a traditions committee to try to boost some school sprit. With the re-establishment of the football program and the hockey team I feel like there is no better time than to get some strong traditions started and get the campus pride and sprit at an all time high. I am Ankit Sharma and I’m a sophomore here at UNH. I’m an international student at UNH and I am from India. I’m Finance (Business) major at UNH. Although my major is supposed to deal with the boring and intricate numbers and stuff, the instructors at UNH make learning more fun, comprehendible and enjoyable. out any student from achieving their goals and find solutions to intricate problems. I know the entire campus and the various offices located in it and I could guide people completely with regards to any predicaments. I’m a very friendly, outgoing and honest person and as a Senator I would like to get the opportunity to represent the student body, help others, gain experience and have fun while doing it. Hi! My name is Shawn Tremblay. As a USGA Senator my main focus will be to promote sustainability as much as possible. I feel sustainability and the “Go Green” concept has yet to be taken seriously by the student body. I am well known on campus and involved with many different offices here at UNH which allows me to connect well with a variety of different types people. Despite everything I am involved with, I am sure that I have the time necessary to devote to this position. Everyone at UNH is important and it is time to recognize it! I am running for the position of USGA senator because I feel as though I am a good representative of the student body as a whole being involved in many of the different social and academic activities on campus. I feel as though I have a firm grasp on the attitude and principals of the general public and I would therefore be able to express these feelings accurately in any situation that arises. If elected to this position I will strive to help solve the problems on campus faced by the student body as a whole and I will be available to hear the opinions of any student as all opinions should be heard. My fellow undergraduate students, my name is Jes Vogt and it is my intention to run for Senator for the 2009-2010 school year for the Undergraduate Student Government Association. I have been a Senator since the fall in 2007. I am also the current Health and Safety Committee Chairman. I have enjoyed my time as a Senator for the Undergraduate Student Government Association. I feel that I have done a lot to help the student body. I have been working very hard to try to expand the Health and Safety Committee to something other than just answering concerns. I really care about the concerns of the student body and I would like to continue to voice them. I would also like to continue to be a part of making decisions that will positively affect the student body. I think it is important to be aware of, as well, as discuss the issues concerning the student body and I promise to continue to bring these issues up at meetings and otherwise. I would be honored to serve you for another term as a Senator of the Undergraduate Student Government Association. Hello, my name is Benjamin Wagar and I am currently a Senator in USGA! This past fall I decided to run for the position of Senator because I wanted to became as active on campus as I possibly could. I have served on the technology committee and I am now also on the constitution committee. The Undergraduate Student Government has had such a positive impact on my life that I want to run again. The main goal of my campaign is I want to involve as many students as I can. The more students that ask me questions about my position as Senator the better. I ran for Senator this Fall because I wanted to became as involved on this campus as I could. I want to be able to help students with their problems whatever they may be. Being a Senator has shown me a completely different side of this institution. That is why I have these goals that I want to accomplish for next year. 1. I want to become more involved in the USGA senate. Any committee head position at the start of next year I am going to run for. Specifically the Health and Safety committee or food committee if it is open. 2. I want to work with other Senators of USGA in planning a campus wide event where the students can learn more about USGA and hopefully become more involved. 3. I want to serve as a mentor to West coast students who come to the University of New Haven. Being from Washington state myself I know that it can be a hard transition. I want to help them as best as a can using any means necessary that I can develop as a Senator.